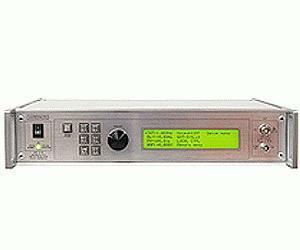 The AVR-3-B is a general-purpose 200V pulse generator, with a wide pulse width range of 100 ns to 100 us, rise and fall times of 10 ns, and a maximum repetition rate of 10 kHz. This model can drive loads of 50 Ohms or higher. When used to drive a series combination of 50 Ohms and a laser diode, it can deliver up to 4 Amps to the diode.